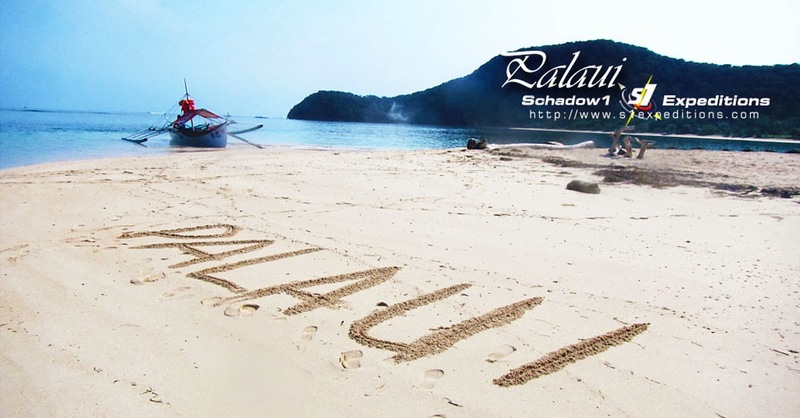 Palaui is an island located just right at the northeastern tip of Luzon. Protected by a Presidential Proclamation as a natural reserve of the country, its resources are maintained and one can expect that here, nature is more supreme than technology. The island features white beaches. forests, rolling mountains not exceeding 300 MASL, and grazelands. Being located at Balintang Channel where the Pacific Ocean meets the West Philippine Sea, the shores and its waves are magnificent. Schadow1 Expeditions has been here during the last few days of March 2013 for a mapping expedition. The island has no open mapping data and thus we have decided to get to this island and open it to Filipinos and to the world. 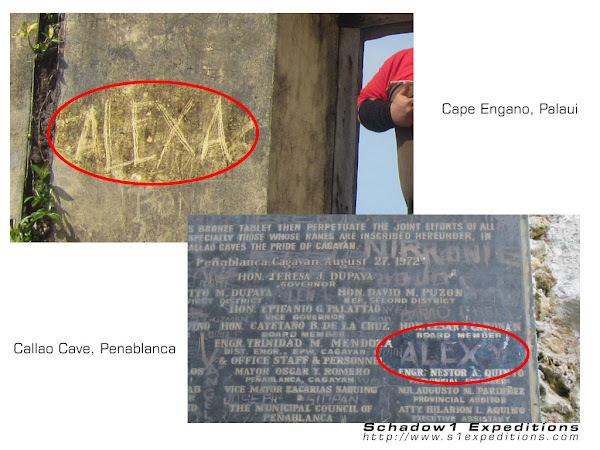 Palaui has no source of electricity and there is no line connecting it from the nearest municipality on the Luzon mainland, Sta. Ana, Cagayan. Cellular sites are also not available and the nearest is at the mainland as well. Mobile phone signal is only available at Punta Verde, the only village open for camping to tourists; yet the signal is still erratic. There is no signal anywhere in the island aside from this town. Small villages are scattered all over the eastern portion of the island however Punta Verde is where the Nature Village was constructed and serves as the campsite for tourist planning to have an overnight stay on the island. Staying on other parts of the island is strictly prohibited by the governing cooperative, Cagayan Economic Zone Authority (CEZA) because of irresponsible tourist that throws their garbage anywhere. The Nature Village is powered by solar energy and battery supplies. To save energy, there are only a few light bulbs that illuminate the village and is being turned off at 11PM. There is a Php 150 camping fee on this village if you brought along your own tent. Using their own facilities for overnight camping requires a Php 250/pax fee. Use of electricity such as charging your gadgets requires a fee of Php 10-20. There are three places to visit in the island. One is the Nature Village at Punta Verde, the other is Siwangag Cove that is at the western side of the island surrounded by mountains, and the Cape Engano lighthouse. Siwangag Cove will be the site for the reality TV show Survivor this May 2013 as such it will not be accessible by tourist until they finish their shoot. The highlight of Palaui Island is the Cape Engano Lighthouse, a 19th century light house constructed during the Spanish colonization era of the Philippines to which the architect is the same of Cape Bojeador Lighthouse at Burgos, Ilocos Norte. The lighthouse is situated north of the island and is only accessible in two ways: first is via a 7-9 kilometer trek and the other is by boat. 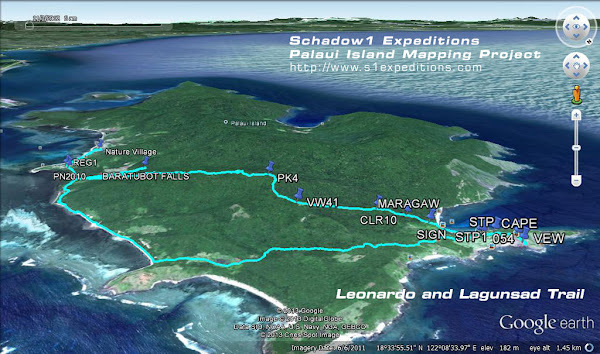 Schadow1 Expeditions chose to trek the island for its mapping mission. Trekking Palaui requires a guide that can handle up to 4 people for a Php 300 fee payable on the Visitor's center at Santa Ana or at the registration site within the island if you failed to pay when you are still at the mainland. There are two established trails to Cape Engano from Punta Verde. One is the Leonardo Trail and the other is Lagunzad Trail. Both trails have its own advantages. Named after Dr. Leonardo Co, a Filipino botanist. If you are a mountaineer, you may opt to use the Leonardo trail which is a 9-kilometer trek with ascending and descending trail. The descent from the peak of its 261 MASL unnamed mountain is steep. Choosing the Leonardo trail will let you pass through dense forest therefore the trail is colder than Lagunzad. Additionally, you can have a side trip to the island's water source, the Baratubot Falls. The trek will start on a sandy trail along the shore of Palaui where you would need to turn left to go within the mountains. Continuing to head north is the Lagunzad Tail. After turning left you can go straight until you pass through a farmland. That would lead you to Baratubot Falls. You can then get back to the Y road before you reach the farm and turn left to start climbing the steep mountain and traverse its other side before you reach the shores of Cape Engano. The peak of the unnamed mountain is highly forested and here stands a big Maragaw tree as its summit marker. Maragaw tree at the mountain's peak. Climb down until you reach a white sand beach and you have reached Cape Engano. To your right will be the 81MASL hill where at its peak is the Cape Engano Lighthouse. Named after Dr. Daniel Lagunzad, a Filipino botanist. The Lagunzad trail is an easier trek but hotter as 50% of the trail is along the eastern shore of Palaui. Then you would turn slightly left and pass through farmlands, graze lands and a brief forest to which you would exit to another graze land and the Cape Engano hill is near. Crab holes are also scattered along the trail. The Lagunzad trail is 7.4 kilometers long. "Guwardiya" that followed us all the way. 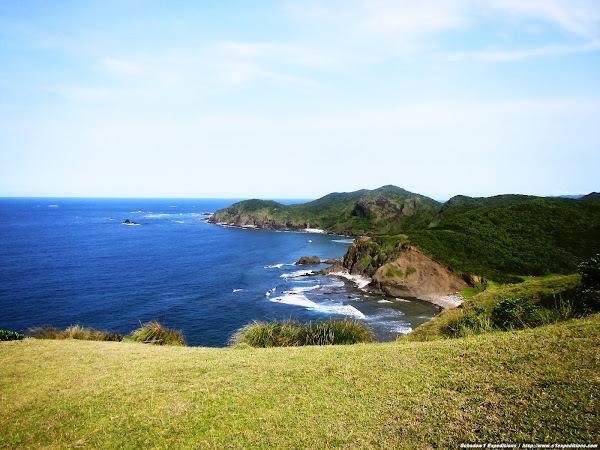 As you reach Cape Engano, you would need to climb the 81 MASL hill. Starting with a 136-step stairs, you would still need to continue climbing the remaining half without the stairs until you reach the old lighthouse. 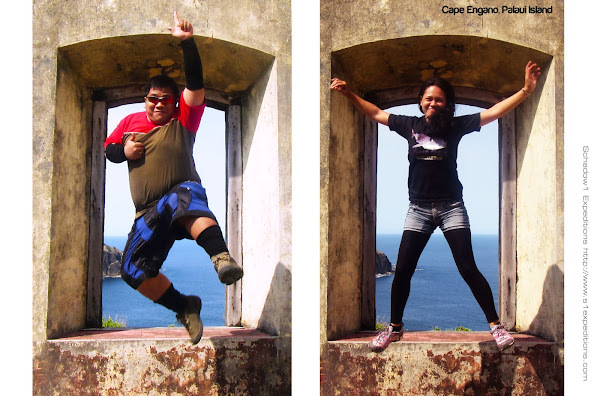 The back of the lighthouse will give you a rewarding view of the Balintang Channel and the Calayan group of islands. Magnificent waves clashing along the coral-filled shores of Palaui and the serene view of verdant green hills and cliffs is an astounding view to behold. What is sad to note though is that the lighthouse is in neglect and vandals have victimized its old walls and I urge the government to do something to protect this national treasure. After all, they have been earning a lot from the tourists by implementing fees to almost anything thinkable within the island. 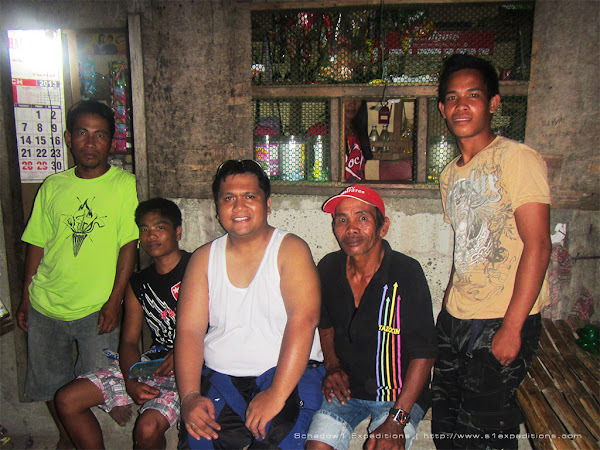 After the 16.5 kilometer trek of Palaui, we had a get together with the locals and the family of our guide, Allan to which they told me about the new policy of CEZA where they are no longer allowed to build new houses and if they would want to renovate, an approval needs to be sought. New settlements are also prohibited. This is all due to the Presidential Proclamation 447 to preserve the island. The data gathered in this Palaui Island trek has been contributed to the +OpenStreetMap Philippines project for free use of adventure enthusiasts who plan to reach Cape Engano via land with GPS assistance. Want to ask the total trekking time using Leonardo Trail?